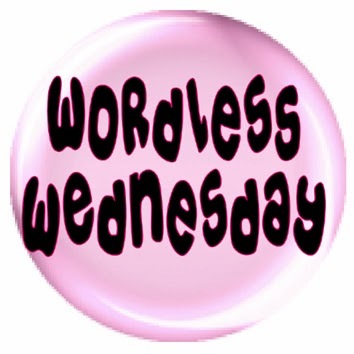 This entry was posted in A-Z Blog Challenge, Blog Hops, Wordless Wednesday and tagged A-Z Blogging Challenge, Comedy Plus Wordless Wednesday, coupons, Emmy, Wordless Wednesday by pilch92. Bookmark the permalink. Oh! Coupons! Mom is going to print them for her next visit to the states! \She LOVES coupons! And Emmy sure looks good – so does her book! Coupons, what would we do without them! MOL! Emmy should be proud of her new book, she will be furmouse indeed! I’m so excited for you and Emmy! How awesome that your book is going to print! Another great tip, Emmy. To bad the most coupons that we receive are not based on my natural food 🙁 We’re so excited for your book. The cover looks great already! Pawkisses for a Happy Day to all of you??? OhMyGosh, how exciting Emmy!!! The cover looks very cute! Good tip on coupons… I can never remember coupons. But if they are on my phone… now that works! Hiya Emmy, any chance of a bedtime story from your new book???? Thanks for the “C” info………….coupons are so helpful because everything is so darn expensive! Glad that Emmy’s book passed inspection. We can’t wait to see it in “finished form” !!! You’re really on a roll. ~grin~ And I’m falling behind on my blog reading! Nice tips, all. Coupons are a good thing and we use them often. Saving on what you already buy all the time is a very good thing. Emmy is a great poser. We love coupons! The trick is getting Mom not to forget to take them on her store adventures. She is as feeble about that as she is with giving us treats. You go, Emmy! Hope the proof is to your satisfaction! Thank you. ? Emmy thanks you too. Emmy’s book is looking great! Congratulations Emmy! We love coupons too. Yayyyy for coupons. Congrats Emmy! Emmy is getting excited and making sure all is in order heheh! Dad used to do coupons all the time but lately has just been using the ones he gets from the store. Thanks fur the link! Mom loves coupons. She even belongs to a coupon club!!! We can’t wait for the book! Emmy looks very pleased with her book. That is exciting that it is ready to go to print. Emmy looks great! We love coupons too!! Hooray for Emmy and her book! Coupons are great when they are for stuff you buy already, where i have a problem is i end up spending more because i’m buying stuff i usually wouldn’t because i have a coupon. How exciting that Emmy’s book is almost ready!! Every little bit that can be saved helps! Yay for coupons and for the book!!! We like to eat coupons if we get our paws on them! Emmy, it’s very impawtant to stay on top of what your peeps are doing. Good job! The book cover looks awesome! You must be so excited. Whoa! Concats again on the book. The cover looks pawsome! We get two Sunday papers here just for the coupons. Oh wait, and the crossword puzzles for TW. Thanks for the coupon tips, I’ll get me some Fancy Feast coupons! Coupons are great. Now the stores have half the coupons on the app instead of just the paper so I try to remember to check their site and add coupons to my store card before I go that way I don’t waste so much data on my phone when I’m there. I still end up checking when I’m there too. That is a good idea. I wish I had a smart phone. I used to use coupons but find them hard to come by anymore. I don’t get the newspaper, and that’s where I used to get them. Same here, but I found some online. I had no idea about the enthusiasm some Americans have for coupons. There are whole blogs about them! It’s amazing!!! I hope yours came in useful and saved you heaps. PS love the proof book t00. My local grocery store and pet store regularly send out coupons and coupon books, and I’m the one who walks into the store with a whole pile of them. When you can save money, you gotta do it! I’m so excited for you and Emmy! How awesome!